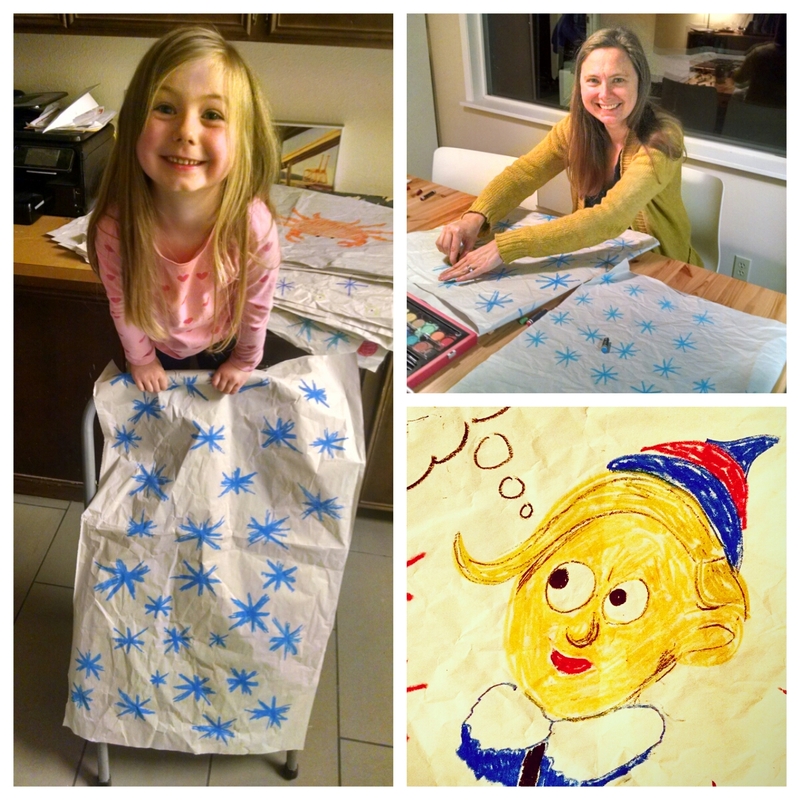 After moving all of our belongings back across the country, we’ve found ourselves with a surplus of packing paper. Combine that with an abundance of the Christmas spirit, and you get one crafty Fry Lodge holiday. 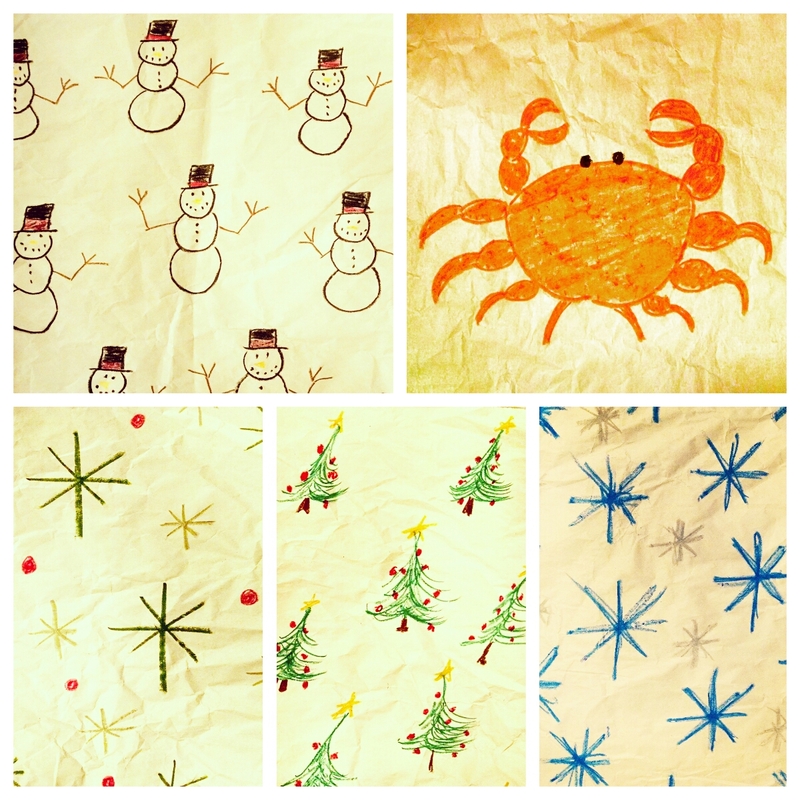 Tonight we made our own Christmas wrapping paper. I’m anxious to see if this tradition sticks. We certainly have the paper for it.